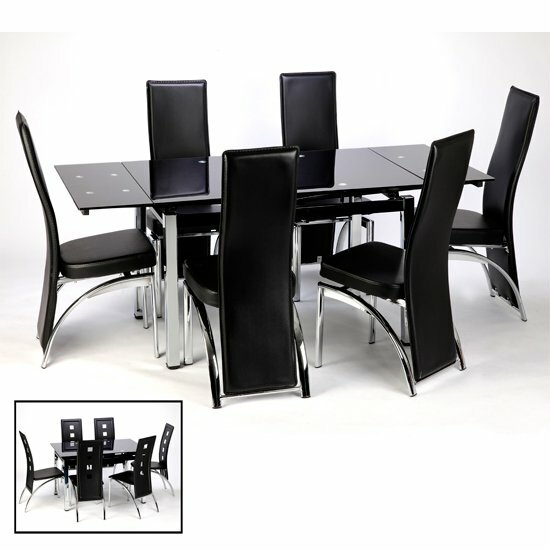 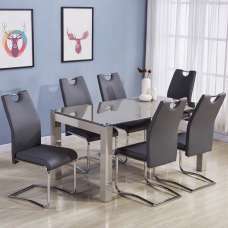 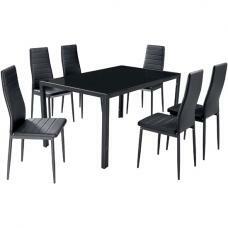 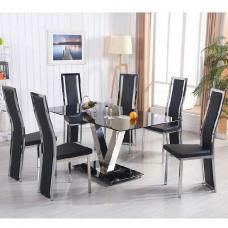 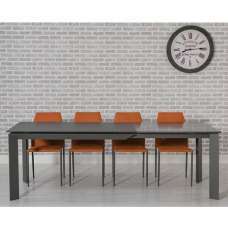 This stylish Sarah Extending Black Dining Table set is usually suitable for large families or for people who love to entertain guests on a regular basis. 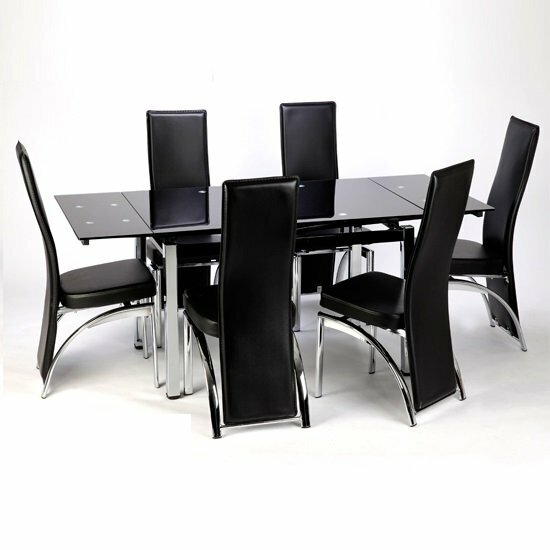 It is supplied with black glass top, well designed chrome legs and 6 black Romeo chairs, giving your home a luxurious furnishing touch. 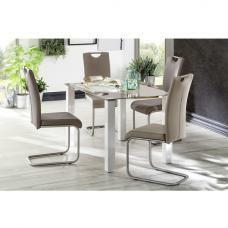 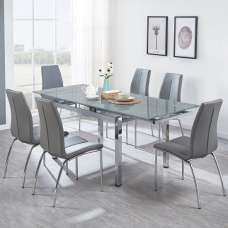 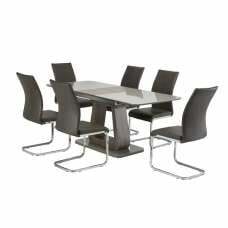 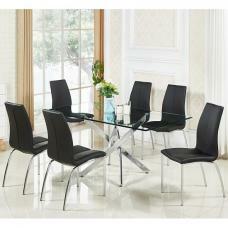 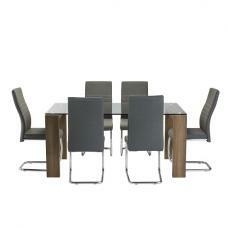 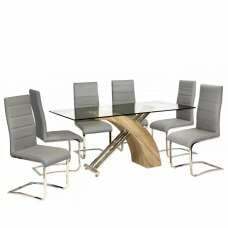 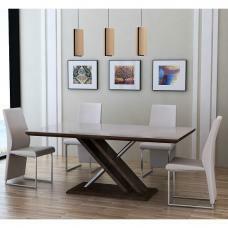 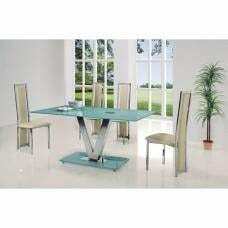 This extendable glass dining table often collapses enough for an intimate family or couple's meal as well.